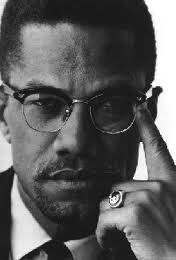 Malcolm X Research Papers examine the life of this man, and his distrust and rage toward white Americans. Malcolm X was an important part of the Civil Rights Movement. In a custom written research paper, learn the role of Malcolm X in standing up against his oppressors. During his participation in the Nation of Islam, Malcolm X earned the moniker “the angriest black man in America.” Yet before his untimely death on 21 February 1965, he had gone from staunch separatist to advocate for assimilation. This paper will present the argument that Malcolm X’s Afro-centrism was a function of his life experiences in white-dominated America, and that his trip to Mecca enabled him to see beyond complexion to connection. It would be misleading to suggest that the change was sudden, though the black leader did experience a true conversion during his pilgrimage. In reality, however, several incidents set the stage for his transformation. These will be described as part of the argument that his very isolation from whites had increased his hatred of and distrust for them. Born Malcolm Little in 1925, Malcolm X learned early that white people ruled his world. His father, a Baptist minister, advocated a return to Africa for all blacks. Ku Klux Klan members harassed the family repeatedly, eventually murdering Malcolm’s father and placing his body on a railroad track to make the death appear a suicide. His mother was committed to an asylum, so in effect, he lost both parents. Thus, his limited life experiences to that point in time caused him to hate and fear whites. Safety was to be found only among his own kind. As a black man in white America, Malcolm’s hatred of his oppressors grew. He experienced prejudice and discrimination first-hand. With little education and less hope, Malcolm viewed drug-dealing, thievery, and pimping as means to survival in a game of life in which white people held the winning cards. After several less significant scrapes with the law, he was sentenced to several years in prison for criminal activity. From Malcolm X’s already jaded perspective, he had just exchanged one white man’s jail for another. In an unusual turn of events, however, prison proved quite beneficial to the young man. While incarcerated, he was exposed to the Muslim faith and the great black American leader of the Nation of Islam, Elijah Muhammad. Now Malcolm’s already separatist tendencies found a theological basis. For Elijah Muhammad preached that the white man was the devil, a misguided “experiment” gone awry. Further, he taught that Islam was the true faith of blacks, and that blacks and whites should be completely segregated. With Malcolm’s experiences in the white world so far, he was an easy “sell.” In fact, this religion with its tenets proclaiming the black race superior and promising an imminent revolution in which the whites would be defeated had appeal for many discouraged blacks. But Malcolm was more enamored of the faith and the man who preached it than most. He became a faithful follower, a true separatist, and a militant Muslim. Autobiography Malcolm X - How to write a review on the Autobiography of Malcolm X as told to Alex Haley is over viewed by Paper Masters. Separatist Movement research papers discuss the economic, political, social, and religious reasons for a group to separate from another group. Discrimination research papers analyze the glass ceiling and many other forms of discrimination in the workplace and society. Race research papers examine the sociological aspects of race and ethnicity in America. W.E.B. Du Bois research papers look at this African American scholar and compares him to others of the past such as Martin Luther King Jr. and Malcolm X. 1960's - 1960′s was a decade of unbelievable changes in all aspects of American society. Activism - Activism term papers examine the use of this multi-faceted approach to promote social, environmental, political or economic change. Psychology of Blackness - Psychology of Blackness research papers discuss this psychological perspective that tries to include the unique worldview of African-Americans. Paper Masters writes custom research papers on Malcolm X and examine the life of this man, and his distrust and rage toward white Americans.